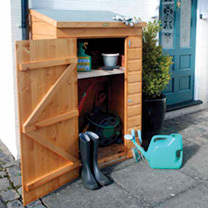 A convenient storage space in your garden, big enough for an assortment of garden tools. A single shelf is included and a single lockable door. 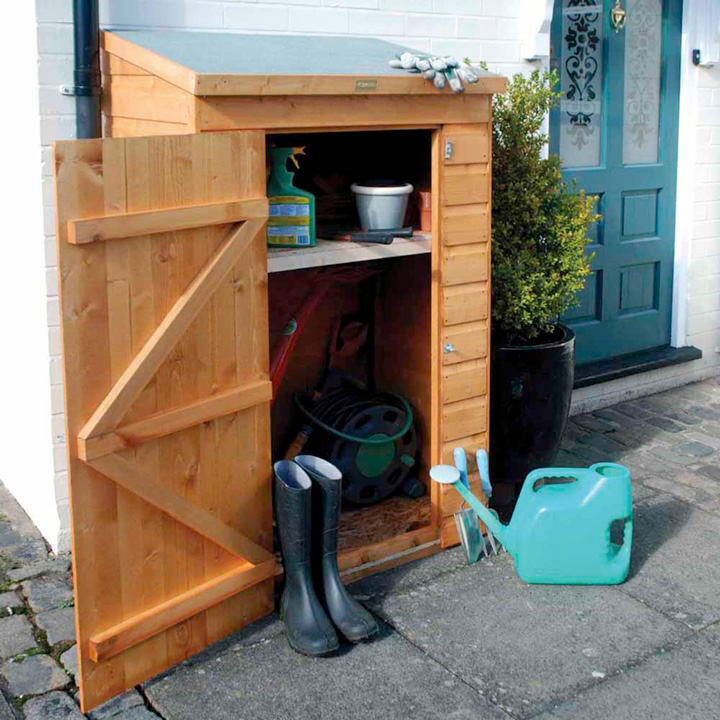 Solid board floor and roof, lockable single door, shelf included, dipped honey-brown finish, mineral roofing felt, 150cm (60") height x 93.5cm (37") width x 64cm (25") depth. (PLEASE NOTE: A postage surcharge per item ordered is applicable.) UK MAINLAND ONLY.